Most tickets can now be purchased on Ticket Scene. Please return to the HOME page and you will see the purchase button in the upper left corner. * Victoria Jubilee Hall has general seating. Doors usually open 45 minutes before the performance, unless otherwise requested by the artist. * We offer 3 wheelchair spaces in the theatre, Reservations are recommended. Patrons using wheelchairs are requested to arrive no later than 30 minutes prior to performance time. * Anyone with mobility issues are asked to please enter via the glass door off the parking lot. By entering this way there are no steps to be taken and you can access the lift from this area. 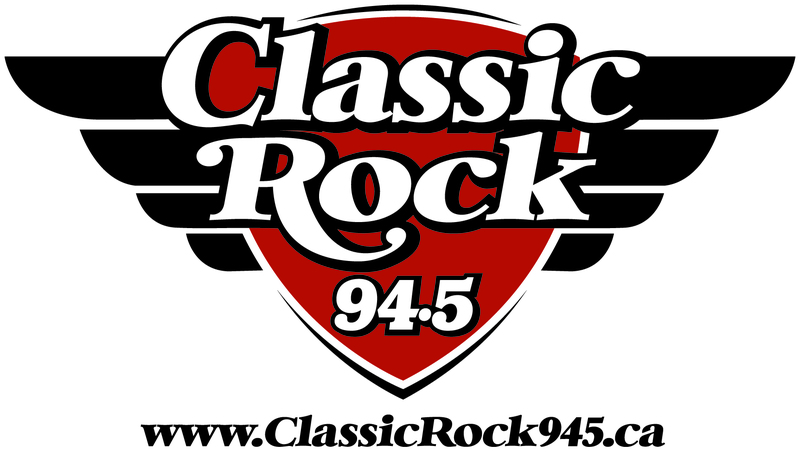 * Banner ads giving ticket information should be double checked by phoning 519-881-2826. Our website is not always current to the date of the performance. * All ticket sales are final, Cannot be redeemed for cash. Thank you for your continued support of the Victoria Jubilee Hall. Devin Cuddy has always made music his way by combining the influential styles of country, rock and jazz. From an early age he has been carving a name for himself in the music industry performing in venues from coast to coast. This performance is part of our Jubilee Arts and Music series. The ticket price for the five performances is $120.00. Individual tickets are $35.00; with a $5.00 handling charge on the total purchase when using credit cards. Please, no post dated cheques. For more information feel free to contact the hall at (519) 881-2826 or by email: vjh@wightman.ca. Individual tickets for this performance are now in Holst's Office Supply and Brown's Pharmacy in Walkerton. This performance is an independent show. Tickets are $39.00, with a $5.00 handling charge on the total purchase when using credit cards. Please, no post dated cheques. For more information feel free to contact the hall at (519) 881-2826 or by email: vjh@wightman.ca. Individual tickets for this performance are now in Holst's Office Supply and Brown's Pharmacy in Walkerton. We Walk The Line is a true Johnny Cash Experience that celebrates the music and lives of "The Man in Black" and his fun loving wife, June Carter. The performance features Ward Cornforth as a 1960's era Johnny Cash with the signature "Boom-Chicka-Boom" sound of his long time touring band the Tennessee Three. The show includes duets performed by Johnny Cash with the late "June Carter". The concert covers the entire career of Johnny Cash from the 1950's at Sun Records to 2003 with the American Recordings label and includes Johnny's biggest hits 'Ring of Fire', 'Boy Named Sue', 'I Walk The Line', 'Folsom Prison Blues', 'Hurt' and the famous duet with June Carter 'Jackson' amongst other classic songs. The Rockabilly Pioneer, Country Legend and American Poet left his mark upon many millions of fans. Don't miss this Johnny Cash show when it comes to Walkerton ! This performance is an independent show. Tickets are $33.00, with a $5.00 handling charge on the total purchase when using credit cards. Please, no post dated cheques. For more information feel free to contact the hall at (519) 881-2826 or by email: vjh@wightman.ca. Individual tickets for this performance are now in Holst's Office Supply and Brown's Pharmacy in Walkerton. 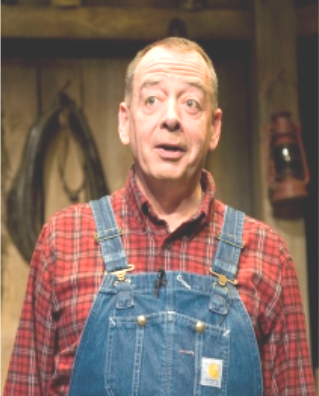 The play is written by Dan Needles, performed by Rod Beattie and directed by Douglas Beattie. When a captain of industry trades his pinstripe suit for overalls and retreats to a hundred acre farm, the residents of Persephone Township raise their eyebrows. Weekend farmers are a common enough sight, but this man seems to think he can make a living with a broken down racehorse and a single furrow plough. Letter From Wingfield Farm is the story of one man's attempt to embrace a less complicated world. In a series of letters to the editor of the Larkspur weekly newspaper, Walt Wingfield tells of the people and events of his first year as a man of the soil. This performance is part of our Jubilee Arts and Music series. The ticket price for the five performances is $120.00. Individual tickets are $35.00; with a $5.00 handling charge on the total purchase when using credit cards. Please, no post dated cheques. For more information feel free to contact the hall at (519) 881-2826 or by email: vjh@wightman.ca. Christmas will fill you with the spirit of the season, wrapped up in cozy memories with some rollicking East Coast charm and a thoughtful wish for Christmas future. In 2012 Rankin began working on writing songs for her first solo record. She formed a writing partnership with David Tyson and her debut solo album, A Fine Line, was released April 1, 2016. Rankin has released music videos for three singles from A Fine Line, "Everybody Wants to Rule the World" and "We Walk as One," directed by Scott Simpson of Playmaker Films and "Titanically�. "Titanically" is inspired by the story of The Titanic's bandmaster Wallace Hartley's violin, which was found in an attic in 2005 and auctioned for 1.7 million dollars in 2013.The music video for "Titanically" was nominated for a 2018 East Coast Music Award. Heather wrote and recorded the song "River of Nations" with Alex Cuba and Andrea Menard, a song inspired by the journey toward reconciliation between Indigenous and non-Indigenous peoples in Canada. Her second solo album, Imagine, was released December 1st, 2017.
are a blast of Celtic energy whose members are known to be characters on and off the stage. With career highlights such as meeting and performing for the Queen on Parliament hill , recording the new CBC HNIC anthem, the CBC Oilers/Flames home opening ceremony, the lighting of the CN Tower with the phantom of the opera,12 Canada's walk of Fame ceremonies , 8 Grey Cups ,3 memorial Cups, 3 Briers, 6 Molson Canadian Snow jams and performed at The 84 Edmonton Oilers Stanley cup re-union with Wayne Gretzky, Sarah McLaughlin and full team present. With music featured on AE Sports games,NBC's Black Donnely's,HBO' Shameless,The MacKenzie Brothers CBC TWO FOUR special, Don Cherry 's 9,19,20,21,24,27,29 hockey video's,CBC's Coach's Corner(Dale Hunter tribute) ,6 music video's on MTV/much music, reaching number 19 on the edge radio countdown. The Mudmen are building a legion of fans from young to old celebrating their 20th anniversary in 2018. With over 2600 shows to date the Mudmen Sandy Campbell,Robby Campbell,Jeremy Burton,Dan Westenenk and Mike Meacher believe that nice guys can finish first. Ron MacLean loves em you should too! the hall at (519) 881-2826 or by email: vjh@wightman.ca. During a career spanning 20 years and 11 albums, folk-roots singer-songwriter Dave Gunning has earned the Canadian Folk Music Awards, East Coast Music Awards and a Juno nomination. Dave takes the audiences on a captivating journey that features heartfelt stories, humorous lyrics and stunning musical arrangements in this finely crafted songs. Dave Gunning over the last 15 year has become one of the defining voices of East Coast song-writing, joining the incredible Stan Rogers and John Allan Cameron. This performance is part of our Jubilee Arts and Music series. The ticket price for the five performances is $120.00. Individual tickets are $30.00; with a $5.00 handling charge on the total purchase when using credit cards. Please, no post dated cheques. For more information feel free to contact the hall at (519) 881-2826 or by email: vjh@wightman.ca. 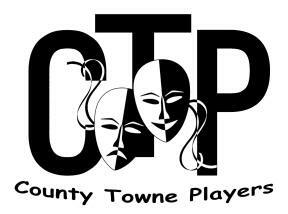 As always, the County Towne Players are looking for new talent as well as veteran performers to play the 6 female roles available in this production. A limited number of script copies are available to sign out at the McIntee Real Estate office at 11 Durham Street West, in Walkerton. humorous moments. The play builds to a conclusion that is deeply moving and draws on the inner strength and love that these women possess. They are truly touching, funny and marvellously amiable company in good times and in bad. Tickets are $20.00 each Tickets can now be purchased at Holst's Office Supply, Browns Pharmacy, Delicate Edge in Walkerton and at VJH. This event will host adult and children's choir accompanied by piano and drums. but also quite moving as we center around the passion of Christ. reflect as the choir sings and brings depth and emotion to these events. From Beatlemania to Wings, experience the music of Paul McCartney from all your favourite albums including Sgt. Peppers, Abbey Road, and Wings across America and Rock Show. The McCartney Years is an international touring production recreating McCartney's music in a 2+hour concert show. The McCartney Years represent the same passion, love and enthusiasm with the musical equivalent of what came out of the Abbey Road Studios to deliver a show that keeps the audience engaged throughout their musical journey together. While the lights slowly fade on stage their performance will not only rejuvenate, rekindle and remind you of your love of songs written by Sir Paul McCartney, Wings and The Beatles; the material will leave you singing well after the final curtain call of the show.